Wait, what? No, that can’t be it, it’s got to come from labyrinth, the maze in Greek mythology where the Minotaur lived! Right? Now that’s the labyrinthine I was thinking of. Today (and most of the time recently, as my general failure to blog reveals), my thoughts were labyrinthine as they swirled around the labyrinthine process of choosing where my life goes next: always hard to see where the Minotaur is lurking. Alice wandered through the labyrinthine halls of the box store for hours, searching beneath sales racks and behind masses of empty boxes, only to find it–and realize she had left her coupons at home. 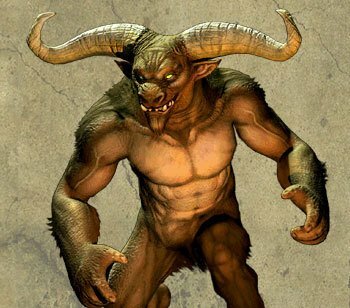 In her years as a government employee, Jane had learned all the secrets to maneuvering the labyrinthine paperwork involved in getting stuff done–but when they started putting literal red tape everywhere, even she thought they’d gone too far, and a real Minotaur might be waiting for her around the bend. Joseph’s labyrinthine infection was too much for him to stand. Yep, that last one’s pretty boring. And probably used incorrectly, too–I’m no doctor, after all. Feel free to correct me if you are! I’ve already tipped my hand as to where this word comes from originally, but here we go again. It was first used in the 1630s, (1632, if Merriam-Webster, linked above, is to be believed), and it came, not surprisingly, from the word labyrinth, which was itself first used in English in the 1400s. Oh, and it came from the Greek, or some proto-Greek language. So just remember: whenever you say something’s labyrinthine, you’re implying that there’s a huge half-bull monster lurking somewhere in the maze of that something. Adds a bit more excitement than a mere “complicated,” don’t you think?